Whatcom Boat Inspections | The Whatcom Boat Inspection Program aims to protect Whatcom County's natural resources, infrastructure, recreation, wildlife, and economy from the impacts of aquatic invasive species by preventing the introduction and spread of aquatic invasive species to Whatcom County waters. 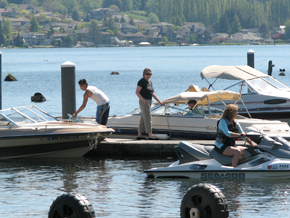 Learn more about new inspection and permitting requirements at Lake Whatcom and Lake Samish. We need your help to protect Whatcom County waters. Together, we can stop the spread of aquatic invasive species and protect our environment, our drinking water supply, and our way of life. 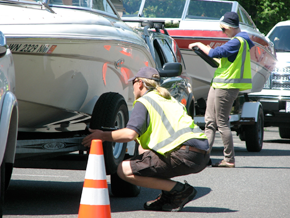 Boat inspections and permits are required for boaters using boat ramps at Lake Whatcom and Lake Samish. Boat owners can choose either a 3-day pass or annual permit. All kinds of watercraft can transport invasive species, even kayaks, canoes, and rowboats. 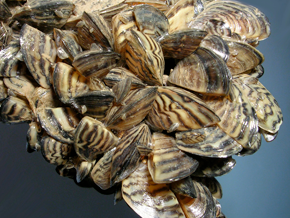 Where zebra and quagga mussels have become established, they’ve done billions of dollars in damage and estimated annual control costs are at least $1 billion nationwide.